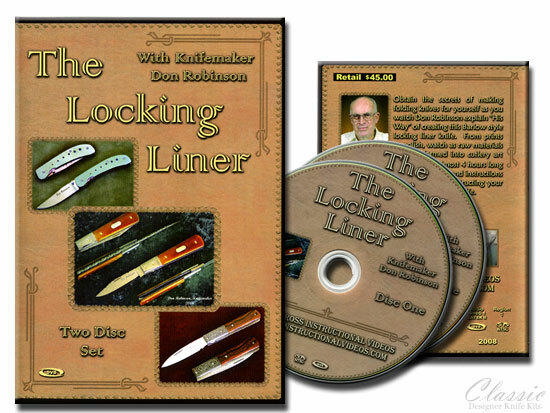 Obtain the secrets of making folding knives for yourself as you watch Don Robinson explain "His Way" of creating this Barlow style locking liner knife. From prints to polish, watch as raw materials are transformed into cutlery art in this instructional video. At almost 4 hours long this video provides all the insight and instructions to assist you in every phase of constructing your own folding/locking Barlow pocket knife.